Neil Young and I go way back. At least, his music and I go way back. Back to my early teen years, when “Sugar Mountain” – a song about becoming an adult – was directly applicable to me. Back to the days of cassette tapes, even! (Yes, that long ago.) Nowadays, I may go for lengthy stretches without listening to Neil Young much. But I always come back to his music eventually. The trigger may be hearing a particular song on the radio, reading something that resurrects a connected memory, or something as simple as that day’s weather. I’ll maybe play “Like a Hurricane” or “Winterlong” or “On The Way Home” or “Change Your Mind”. It could be any one of a number of songs. 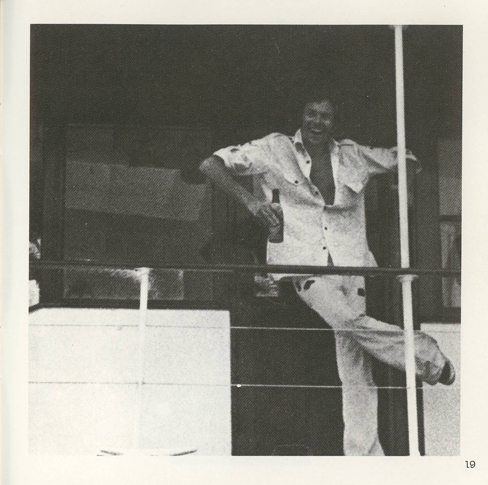 Neil’s got a way with that – a song for many occasions and moods. That’s always been a part of the appeal of Neil Young: his sheer range, along with his loyalty to his own muse. He’s not an artist who stagnated as many of his peers did when they hit a certain age. As he warned in 1978: “rust never sleeps”. From the “godfather of grunge” mantle bestowed on him to the gentle country-rock acoustic balladry of “Heart of Gold” and “Harvest Moon”, to his collaboration with electro-punk pioneers Devo to the computer samples of Trans, and onward to the rockabilly of Everybody’s Rockin’, it’s a truly staggering back catalog (and I’m just hitting on some highlights). He doesn’t always hit the mark, but to grow as an artist one must experiment and try new things. Young has an aversion to repeating himself. As Joni Mitchell once said: “Nobody said to Van Gogh, ‘Paint a Starry Night, again, man.’ He painted it and that was it”. This restlessness hasn’t always gone in his favor commercially, of course. He once was sued by his record company for making records “uncharacteristic of Neil Young.” Yet, I think we all would have tired of Neil Young long ago if he kept putting out variations on Harvest. I know I would have. That said, I first got into Young’s music upon hearing “Heart of Gold” (originally on Harvest). I wish I could say it was “Sedan Delivery” or “Revolution Blues” – that would be more cool, more cutting edge. But no, it was “middle of the road” (as Young has referred to the song), radio friendly “Heart of Gold” that caught my ear. How could it not? It was and is by far the most likely Neil Young song you’ll hear on the radio. I bought the compilation Decade, since it contained “Heart of Gold” and for a long time, “Decade” was my sole Neil Young album. I had the double cassette version and it went everywhere in my old metallic emerald green Toyota. It also went along for rides in the VW Beetle and Plymouth Duster my best friends owned. Not quite autos to match Young’s taste in classic cars, but the music helped us get where we were going (even if it was driving around aimlessly on a weekend night with nothing to do). 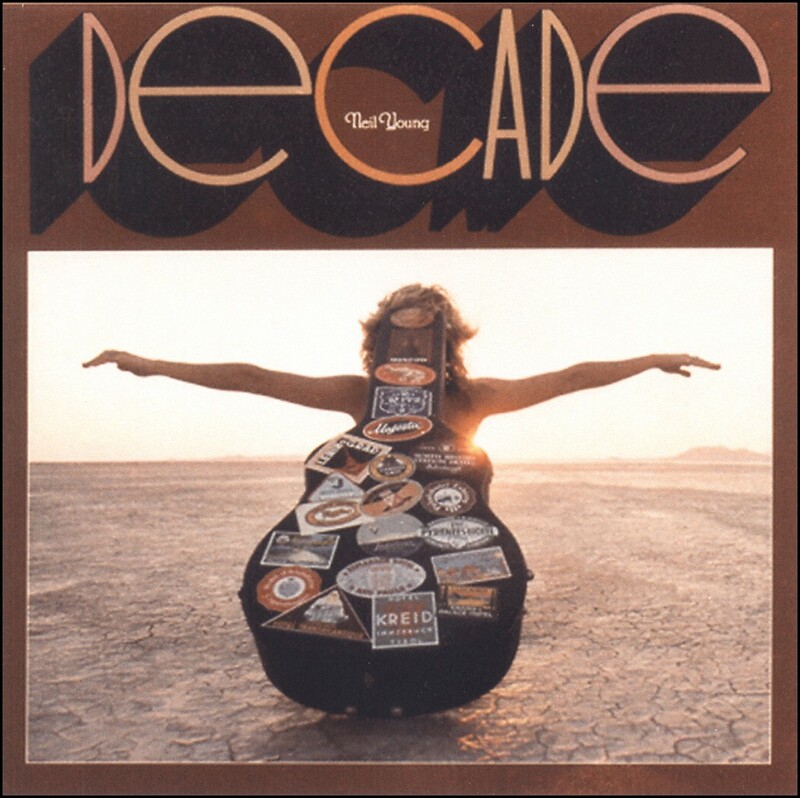 If I was going to have just one Neil Young album, Decade was the one to have. A collection of hits and more obscure songs (some previously unreleased) selected by Young himself, covering what was his “golden period” 1966-1976, it displayed a lot of that range and virtuosity mentioned previously (which would only broaden in future years). From the gothic Gone-With-The-Wind-grandeur of “Expecting to Fly” to the boozy, ragged “Tonight’s the Night”. And let’s not forget the cosmic crunch and grind of his band Crazy Horse. “Cortez the Killer” (despite its questionable historical accuracy about the Aztecs) has a beautiful doomed psychedelic hazy heat and sun drenched vibe. I used to listen to it often while driving down the beach roads by the Gulf of Mexico near my Florida hometown. 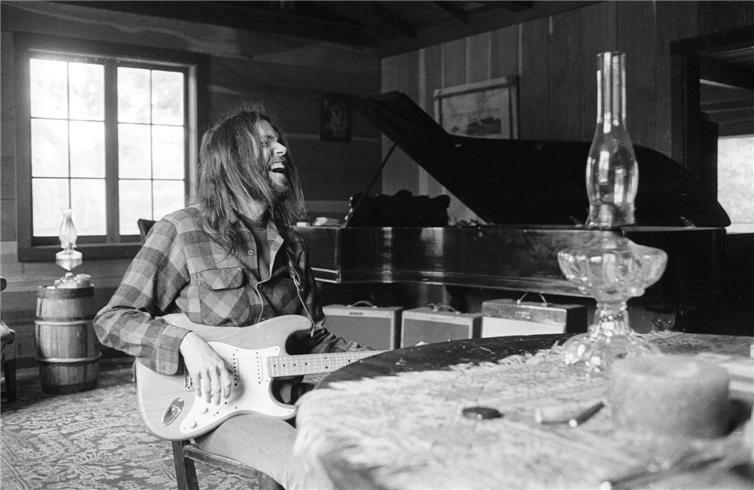 “Cortez” has an element of hallucination and it was that dreamlike element that attracted me to much of Neil Young’s music. There’s the woodsy, mysterious Young of “Deep Forbidden Lake” and the enigmatic sound collage artist of “Broken Arrow” (what was he trying to say? I don’t know, but it sure sounded intriguing and cool). “For the Turnstiles” sounds like a creaky step back in time to a turn of the century, slightly crazed, street busker. In “Helpless” he sings about growing up in a town in north Ontario which had “Big birds flying across the skies / throwing shadows on our eyes”. That was kind of creepy, even though he sang the words in a kind of whiny and plaintive voice. Decade has the brilliant 1,2,3 punch of “Cinnamon Girl”, “Down By The River”, and “Cowgirl in the Sand”, all sequenced together. But the highlight of Decade (and that first decade of Young’s music) is a song he wrote in five minutes in the back of a car on a piece of newspaper. “Like a Hurricane” is perhaps the quintessential Neil Young song and as such, it’s ironic that it was written so quickly. The track is a cinematic eight and half breathless minutes of high romance. You can practically feel the wind blowing as the emotive guitar sonically illustrates the rush of infatuation. “Hurricane” has become a good example of what Young does best – grow and change. 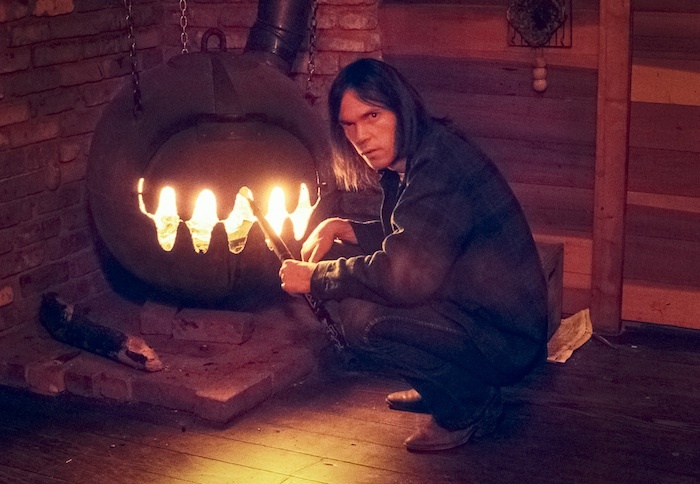 In the years since its 1977 debut, he’s performed occasional live acoustic renditions, a solo pump organ version on Unplugged, and with Crazy Horse taken it into a whole other realm, practically deconstructing and rebuilding the song in the performance in the 2010 Neil Young Trunk Show concert film. If the music wasn’t enough, there was the cryptic hippie desert Christ image on the cover of Decade. I used to wonder if it was Young on the cover (it’s obviously not, as you can tell by the hair). I thought the photo had some kind of symbolic meaning and I’d listen to the album while looking at the image, trying to figure out what the meaning was. In the end, it’s a memorable and artistic image, but probably with no profound connotation. Tell that to my 15-year-old self though. In writing this, I’ve just done an Internet search for more information on the photo and haven’t been able to find much. Only that it was photographed by album cover designer Tom Wilkes, who also created Young’s Harvest cover and an impressive array of covers for other artists. I found a website selling a $600 print of the image, which they’ve titled “girl and guitar case, sunrise”, which doesn’t say much. I’m not even sure it is a girl. When CD’s became THE hot commodity in the mid-80’s, I remember wanting to make my first CD purchase something memorable. It couldn’t be just any album, it had to be something with meaning attached to it, something personal. (It’s hard to believe now, but CD’s seemed that special.) I made my decision and found Decade at Camelot Music in the mall. CD’s were still being sold in longboxes, too, which was a bonus. I could cut the front off the longbox and instantly have a small version of the album cover to hang on my wall. I rode my bike home that sunny summer afternoon, the cd under my arm, down the winding suburban roads. I was a long way from towns in north Ontario, deep forbidden lakes, Aztec empires, and cowgirls in the sand (well, maybe not from them – I was in Florida after all) but I could find my way to these distant places and people, and more, through the songs on Decade. I think I’ll put on disc 1 right now…. I think I will put disc one in right now also. Thank you for this post and reminding me of Neil Young’s amazing work. Yeah. I often forget to listen to Neil for a while and then something will trigger me and I wade back into waters. I’d be interested in the history of “greatest hits” packages in rock music. Decade seems to stand out as an exceptional offering because of the lesser-known stuff on it. It was well curated. Do you know how the tracks were chosen? For me, the stand-out track is Broken Arrow. I remember coming down to TO from Newmarket when I was about 17 for album shopping. Standing in a Queen St. shop, flipping through records with my buddy Erik, the sunset light streaming through the front window. Broken Arrow came on. I had heard it before, but it was so perfect for that moment, that I just froze, at attention, and soaked up every note. I read that Decade sort of became the template for the box set. Box sets weren’t really common at the time of Decade. I think Springsteen’s live box set from the mid 80’s was one of the first, and then the Clapton “Crossroads” one. I also read that Neil picked all the songs for Decade himself (which isn’t surprising, considering how hands-on he is on all his releases). Broken Arrow is a great one – thanks for the story. I love how it switches genres – it’s all over the place but still all sounds right together! I don’t know where it was or who it was – I haven’t been able to find out, unfortunately…. I live in southern California, I was curious about the Decade cover photo location as it looks just like one of two dry lakes outside LA, Soggy Dry Lake (where all the car commercials are shot) or El Mirage, (famous for hot rod drag racing in the 50’s and 60’s) where we ride dirt bikes across these dry lakes. Interesting you say the cover was ‘Christ like’. I always thought it was arms outstretched like wings (all those bird references in the songs; Epecting to Fly, Danger Bird etc) and it being a metaphor for either his artistic intention to soar or even the idea of the listener getting a bird’s eye view of his career. The fact that it is a flight case for a guitar just ties down the idea of going on a flight with or through the music. Ah, yes – I like your take on it better – thanks for that insight!